That's an amazing cover! "The final season of one of the most successful and acclaimed cable dramas in TV history is coming this summer and EW has the behind-the-scenes scoop. 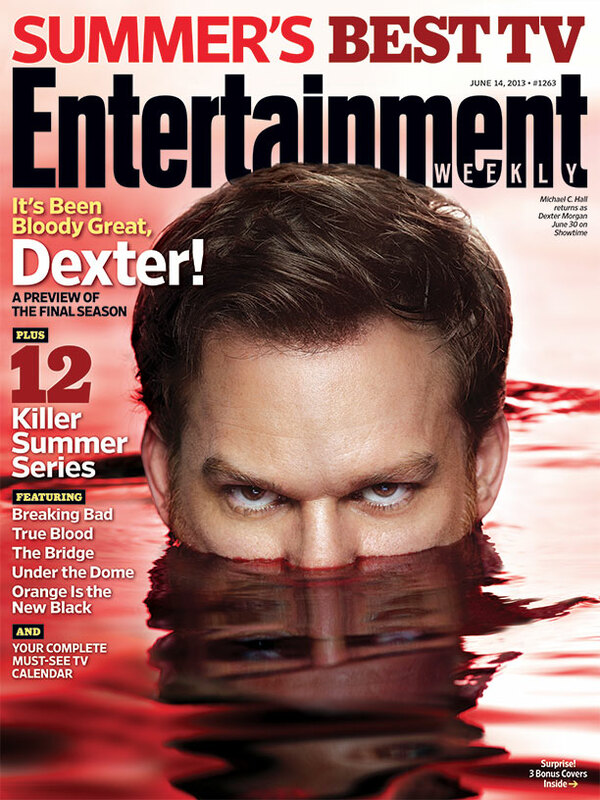 The eighth and last outing of Showtime’s Dexter will take the Morgan siblings to darker places than ever before, as congenial serial killer Dexter and his now-estranged sister Debra strive to recover from last season’s shocking cliff-hanger where Deb killed their Miami Metro captain to keep her brother’s secret safe."